Visualcom is a South Australian based Company who are a one-stop destination for your design, wide format printing and signage needs. Established in 1998 we provide award winning printing and signage solutions for local and national clients. It’s our business to make your business more visible and we achieve this by delivering unique project outcomes with our extensive range of materials and quality finishes. Our experienced team can manage all aspects of your project including concept and design development, print, manufacture, build and installation. Visualcom Printing & Signage Solutions // Responsive, Trustworthy, Experienced. 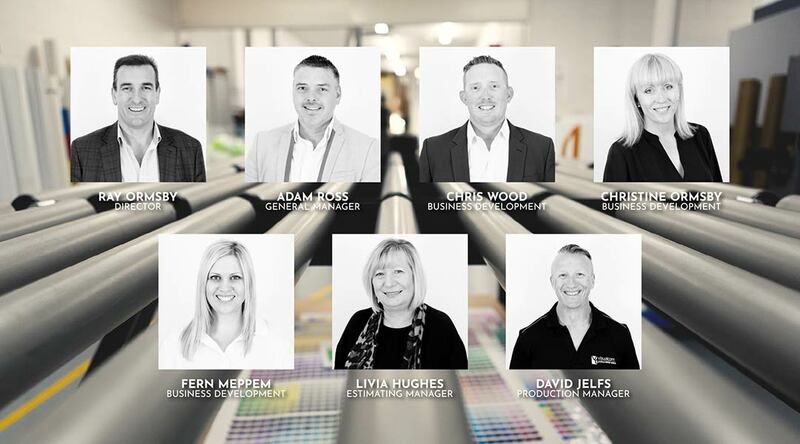 Our extended team at Visualcom includes graphic designers, pre-press operators, printers, print finishers, fabricators and installers. Their years of industry experience and skills ensures that we deliver your job on time, on budget and to the highest quality standard. Visualcom prides itself on our approach to Environmental Responsibility through our VC Green program. Ongoing development in UV ink technology makes us 100% free of solvent inks providing a safer workplace for our staff, better print quality for our clients and more sustainable outcomes for the environment. Visualcom continually look for innovative products that are either recyclable or have a minimal impact on the environment. Visualcom also look to recover printed material from events and exhibitions and then dispose of them in an environmentally friendly manner. Visualcom take a pro-active approach to in-house recycling and ensure this not only covers paper materials but also our waste from the printing process. Check out the latest edition of the D//SIGN magazine which features some of our exciting client projects.